Orders over $20 qualify for FREE USA Shipping! 22 inches wide by the yard (36 inches). Larger quantities will be shipped as one continuous 22-inch wide piece. Pot holders, oven mitts, and casserole covers are made functional and safe with Insul-Bright batting. 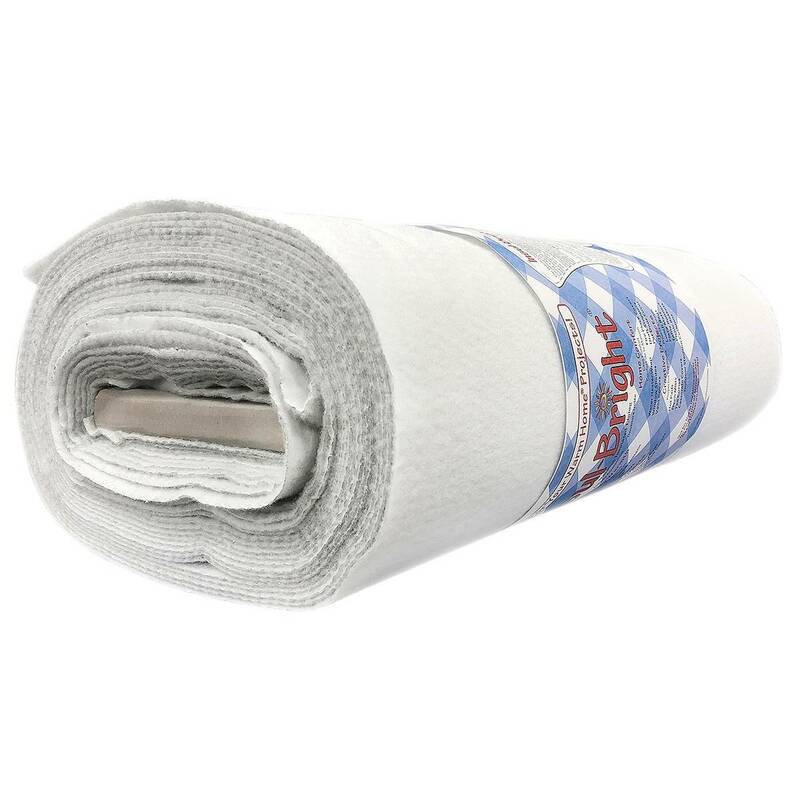 It consists of hollow, polyester fibers needlepunched through a nonwoven substrate and through a reflective metalized poly film. 22 inches wide by the yard (36 inches). Larger quantities will be shipped as one continuous 22-inch wide piece. Pot holders, oven mitts, and casserole covers are made functional and safe with Insul-Bright batting. It consists of hollow, polyester fibers needlepunched through a nonwoven substrate and through a reflective metalized poly film. The needled material is breathable and won't break down with washing. The hollow fibers resist conduction while the reflective metalized poly film resists radiant energy. The energy, hot or cold, is reflected back to its source. No pre-washing is necessary. Machine Wash and Dry. 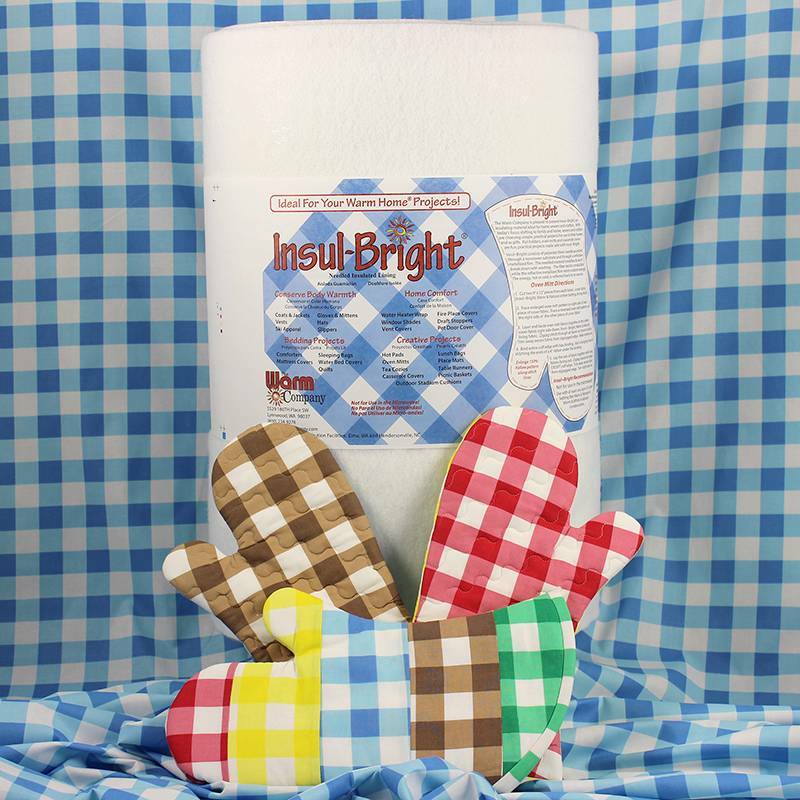 At least one layer of cotton batting is recommended with Insul-Bright when used in oven mitts or pot holders. Insul-Bright is heat-resistant, not heat-proof. It is not for use in the microwave.